Luxury Laos holidays – five-star South-east Asia at amazingly low cost. 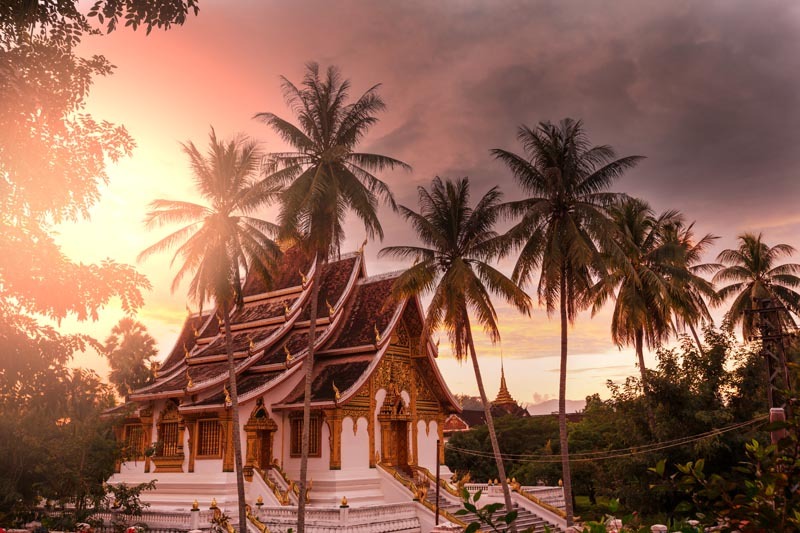 Excitingly, in recent years, Laos has begun to blossom into a premium South-east Asian holiday destination, an accolade its picturesque landscape and chilled-out people truly deserve. Happily though, the country still maintains a refreshing innocence which will be a wonderful, lasting feature of any holiday here. Our exclusive Laos holidays collection of first-class luxury and boutique hotels are perfectly located to make your exploration of this low-key land of beautiful scenery, beguiling culture, serene temples and exquisite cuisine effortless. Picture the capital Vientiane, in the beautiful southern border region, here you’ll be greeted with the typical Laotian laid-back mix of French-colonial style and tranquil, Buddhist temples dotted with saffron-robed monks. In unmissable Luang Prabang, high in the mountains of the north, we boast an array of first-class hotels – the perfect surroundings in which to slow down, relax and soak up all that the spiritual heart of Laos has to offer. In Laos you can’t help but let the infectious charms of the lazy river-front towns inspire and rejuvenate you and time in Vang Vieng, Pakse or Savannakhet will seem dreamily endless. People say that Laos gets into your soul and the comfort and luxury of five star treatment certainly helps make that possible. Laos holidays & deals you can’t find online. Planning a holiday to somewhere as laid-back as Laos can prove difficult especially if you want to be sure of experiencing the best. Our agents have expert knowledge which means we’ll plan the luxury holiday you really want and bring it in at an amazingly modest price. Call one of our South-east Asian experts on 020 3824 8444 to begin your exploration of this undiscovered Asian gem.